Air New Zealand's new swimsuit safety video: Fun or offensive? 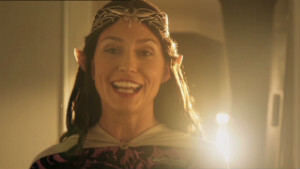 Air New Zealand says it has been done "tastefully"
Previous versions of the video -- starring anything from Hobbits to Bear Grylls to New Zealand's all conquering All Blacks rugby team -- have revolutionized the on-board safety message airlines deliver to passengers. The most recent effort though is being criticized by some as neither ground-breaking nor as creative, after the airline teamed up with Sports Illustrated magazine to produce what it's calling "the world's most beautiful safety video." The "Safety in Paradise" video, which rolls out on Air New Zealand flights at the end of February, is beautifully shot and certainly cheerful and fun. It was filmed in the Cook Islands -- home to several stunning beaches -- and coincides with the 50th anniversary of Sports Illustrated's Swimsuit franchise. Earlier videos have been witty, clever and quirky but the paradise video combines a far less subtle use of eye-catching material -- using four of the planet's most beautiful, and scantily clad women, to deliver information to passengers. The models include Ariel Meredith, Chrissy Teigen, Hannah Davis and Jessica Gomes. Christie Brinkley makes a cameo. "It seems that suddenly they are saying that my sexuality is all that matters about me," one critic, Massey University lecturer and feminist commentator Deborah Russell told the Sydney Morning Herald. Social media reaction to the video was predictably mixed, though the majority of commenters on Facebook and Twitter appeared to support the video -- and the women in it. Many praised Air New Zealand for using beautiful women to promote the Cook Islands and complimented the airline on its marketing prowess, given the mass of media attention now being given to the safety video. Supermodel Christie Brinkley appears in the video and praised its "playful script." From the negative corner, while some commented they were appalled Air New Zealand would be so sexist, others said the Sports Illustrated version just isn't all that clever -- a disappointing follow up to the airline's creative safety videos of the past. "No no no no no! What a giant step backwards for the representation of women by NZ," commented Facebook user Claire Jongenelen on Air New Zealand's official page. "I am so embarrassed and disappointed, as a young NZ woman who travels for business and leisure with Air NZ. This isn't the beauty of the Cook Islands. The beauty of the Cook Islands is the scenery and its (truly) beautiful inhabitants. I'm actually a little disgusted." Air New Zealand spokesperson Andrew Aitken refuted those comments. "We have been careful to ensure 'Safety in Paradise' has been produced in a way that is tasteful," he said. 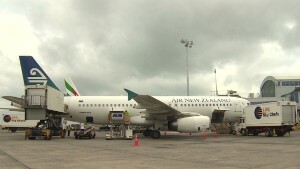 The carrier, taking fun seriously, quickly established a reputation for edgy safety videos -- part of the company strategy, Air New Zealand CEO Christopher Luxon told CNN. "We know that we actually get our customers watching and interpreting and internalizing our safety messages, better than I would argue anyone else, because we get their attention with the video ... We've had 12 million people watch our Hobbit safety video on YouTube and you sit there and go, that's quite an incredible thing. But it's another small example of just how we think that we can deliver the table stakes of a great airline but actually do it with a twist and with some personality along the way," Luxon told CNN in an interview recorded late January for CNN's business feature series, Executive Innovator. That interview was conducted before the safety video was released. "We'll have inflight safety videos that people love or people hate. But at the end of the day it's about taking risk and embracing risk intelligently. And that's what we've trying to do across the whole of the business as a result." Previous safety video "episodes" include "Safety Old School Style," featuring Betty White and other octogenarians, "The Bear Essential of Safety," with Bear Grylls and "Mile High Madness with Richard Simmons," in which a sequin-shirted, short-shorted Simmons gaily encourages passengers to "grab, click and pull!" The latter has racked up nearly 3 million views on YouTube. MORE: Wacky in-flight videos: Game-changer or fad? - Ariel Meredith checking herself in a mirror having donned her oxygen mask. - Local men sneaking a look at a pouting, frolicking Jessica Gomes while demonstrating how to "brace." - A three-second glimpse of a muscly male pool cleaner (seemingly in case the ladies were feeling neglected). The "making of" video already has 540,000 views on YouTube, while the "Safety in Paradies" video, released Tuesday, has more than 120,000 at the time of writing. Below are some of the reactions sourced from social media. Tell us what you think of the video in the comments -- fun, or sexist?